Ottawa County Parks Foundation’s effort to complete its Grand River Greenway Campaign is gaining significant traction with two recent gifts from regional foundations. 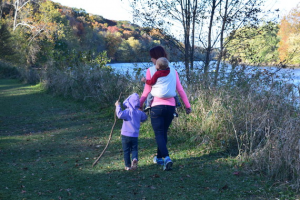 The Grand River Greenway Campaign is the culmination of the 30-year vision to protect thousands of acres of high quality natural and recreational lands along the Grand River in Ottawa County and then connect these lands with a multi-use ADA accessible trail. The proposed trail also will complete a contiguous connection from Millennium Park in Kent County to Grand Haven beaches and other destinations such as Grand Valley State University, downtown Grand Rapids, and the Bass River State Recreation Area. In order to accomplish this vision, Ottawa County Parks plans to acquire 700 acres of additional land and construct 27 miles of new trail (with 13 miles of the trail along or near the river or other water features). This will require $21 million in funding, with the Parks Foundation seeking $7.2 million in philanthropic gifts to leverage anticipated public funding. Recent grants from two West Michigan family foundations, Wege and Frey, totaling $860,000 help build momentum for the Greenway Campaign, which is still pursuing “lead” commitments from donors. “The show of support from Kent County donors demonstrates that the Grand Rapids area philanthropic community understands the regional value and impact of our vision,” said Peter Secchia, who is co-chair of the Grand River Greenway Campaign Committee and a major donor. It was this type of regional impact that drew the support of Wege and Frey Foundation trustees. “The Grand River is an important ecological and recreational asset. 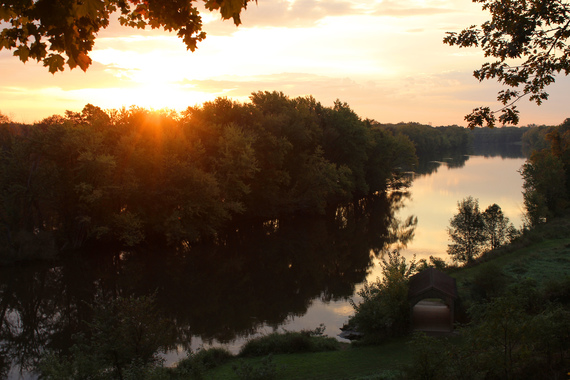 Improving riverside lands in Ottawa County and connecting them to Kent County will add incredible value to the on-going work in Grand Rapids to restore the Grand River and the City’s namesake rapids” said Mark Van Putten, President & CEO of the Wege Foundation. While the Campaign has been successful in engaging donors, Greenway Campaign committee members say broad community awareness of the value of the Greenway is not widely known. “This Greenway, with its tremendous green space and natural wildlife offerings, will enhance the physical, mental, and economic well-being of our community by increasing access to the river’s natural spaces,” said Monica Verplank, co-chair of the Greenway Campaign Committee. Recent gifts represent great progress; still the Grand River Greenway Campaign is actively seeking additional partners. “We are very thankful for the support from our neighbors in Kent County and we hope to have more announcements to come in the near future, but our work is not done yet,” said Tom Werkman, President of the Ottawa County Parks Foundation and a member of the Greenway Campaign Committee. This entry was posted in Ottawa County on February 28, 2018 by editor. Monday, February 26 at 6:00pm, come to Hackley Public Library as local Author Sherri Winston hosts a multi-media presentation incorporating an imaginative PowerPoint display, music, lively discussion and Black History trivia. The program will weave black history’s literary figures and how their presence impacted her life. Her recent book, “The Sweetest Sound,” has recently been named one of Kirkus magazine’s best books of the year. It is coming out in January in paperback. Monday, February 26 from 6:00pm – 8:00pm, Kitchen 242 inside the Muskegon Farmers’ Market invites you to the culinary class, “Zucca (Butternut Squash) with Sofia!” There are so many ways that the Italians use this delicious and versatile vegetable. Here are four of Sofia’s favorites that you will prepare in this class: zucca and gorgonzola quiche, zucca gnocchi zucca flan, baked zucca with soy sauce. There’ll be plenty for tasting and to take home. The cost is $35. For more information, call (231) 769-2202. We will kick off the second half of the Feeding the Soul of the City’s 2017-18 season with a popular barbershop quartet from Owosso, Michigan–the Olde Thyme Harmony Quartet- at St. Paul’s Episcopal Church in downtown Muskegon (1006 Third St.). The concert is free and open to the public. Coffee, tea, and cookies will be available for free starting at 11:30 a.m. Attendees may bring a bag lunch that they may enjoy before or during the concert. A few minutes of prayer will be held just before the concert starts. The White Lake Music Society’s Winter Lecture Series features engaging and stimulating presentations! The last Tuesday of the month, from January through March, a wide variety of expertise and talent will be showcased. February 27, in honor of Black History Month, Lazaro Vega will speak on “The History of the Blues”. Suggested donation is $6 at the door. For more information, please visit www.musicwhitelake.org. January 16 – March 29 on Tuesdays and Thursdays, come to Carr-Fles Planetarium for “Faster than Light! The Dream of Interstellar Flight!” The impulse to strike out into the unknown, to see what’s over the horizon is as old as humanity. Today, a whole new horizon beckons. Scientists now believe that our galaxy is filled with solar systems, including up to 9 billion Sun-like stars with planets similar to Earth. Astronomers are racing to find habitable worlds, including any that might exist in the neighborhood of our Sun. But if we find one, how will we ever get there? How long will it take? What rocket designs might one day conquer the voids of space? Faster Than Light! The Dream of Interstellar Flight will dazzle audiences with virtual rides aboard spacecraft of the future. This is a 35-minute presentation. (The campus will be closed March 6 and March 8 for College Spring Break) For more information, call (231) 777-0289. The Norton Shores Library hosts Page to Screen Noir, where you can read a classic noir mystery each month and then watch the film it inspired. For February, participants will read “Double Indemnity” by James M. Cain and then watch the 1944 movie. This program, funded by the Friends of the Norton Shores Library, is free and open to the public ages 18 and up. For additional information, contact Alison Purgiel, lead librarian, at 231-780-8844 or apurgiel@madl.org . Kitchen 242, 242 W. Western Ave. Kitchen 242 inside the Muskegon Farmers’ Market invites you to the culinary class, “Mad for Macaroons with Kathy DeHoag!” Make two different kinds of batter, coloring, flavors, fillings and all different ways to decorate macaroons. There’ll be plenty for tasting and to take home. The cost is $35. For more information, call (231) 769-2202. Muskegon Museum of Art, 296 West Webster Ave.
You’re invited to the Muskegon Museum of Art for the opening reception of “Poetry in Metal: David Barnhill and David Huang! The reception starts at 5:30 pm and is followed by a presentation by both artists. This event is free and light refreshments will be provided. There will also be a cash bar. For more information, call 231-720-2570. Every Thursday from 4:00pm – 8:00pm, you’re invited to the Muskegon Museum of Art for a free tour guided by docents, compliments of Meijer! For more information, call 231-720-2570. The Center for Experiential Learning at Muskegon Community College is presenting a three-part lecture series on the “Iconic Women of U.S. History: Eleanor Roosevelt,” Thursday, March 1 in the Sturrus Technology Center. Free and open to the public, the talk kicks off the Women’s History Month celebration throughout March and will be held in the Dr. Donald and Nancy Crandall Experiential Learning Lab on the first floor. MCC Distinguished Faculty Award recipient and Emeritus Instructor, Bill Jacobs, will offer insights into the lives and times of prominent American women. For more information, contact the MCC Social Sciences Department at (231) 777-0380. Watermark 920, 930 Washington Ave.
Come to Watermark 920 for Cocktails & Canvas! Create.A.Frame Studio will be there with step-by-step instructions and techniques on how to create your own one-of-a-kind masterpiece. The cost of this class will be $20 per person and includes all of the supplies needed. Class space will be limited, so register soon! This is a 21+ event with wine, mixed drinks and beer available for purchase. The Coffee Factory will be offering a variety of desserts, sandwiches and soups. Painting begins at 6:00pm, but please come early for cocktail hour! Tickets are available at www.brownpapertickets.com/event/3335500. Come to the Frauenthal Center as the West Michigan Symphony presents Classical Music for Everyone – Romantic Nationalism! Explore Romantic music via the countries from which they originate. You’ll experience classical music’s Romantic era as it developed in Scandinavia, Spain, France, America, Bohemia and Russia. The concert closes with one of the most important cello concertos ever written, Dvorak’s Cello Concerto featuring Russian cellist Alexey Stadler. For more information, call 231-726-3231. Come to the Back Alley Comedy Club inside Sherman Bowling Center for live stand-up comedy from Dustin Diamond! He played the bad guy on Celebrity Fit Club and has been hailed as the “Dark Prince of Comedy”. Dustin Diamond is a pop culture icon, and is best known for his role as Screech on Saved by the Bell. Dustin played Screech through all 10 seasons of the show, and to this day, Saved by the Bell is still seen in syndication 16 times per week in 105 countries. For the past 17 years, Dustin has toured the world as a stand-up comedian. His act is suitable for the now grown-up fans of Saved by the Bell. It is adult-oriented, hilarious, and definitely not the same squeaky-clean, Saturday morning comedy that he spent 10 years doing as Screech. Tickets are $17 when purchased in advance. For more information, call (231) 755-1258. The Muskegon Lumberjacks are proud and dedicated members of the United States Hockey League (USHL), the nation’s only Tier I junior hockey league and leading producer of NCAA players and National Hockey League draft picks in the United States, for five years running! Catch two home games at 7:15pm as the Jacks take on the Dubuque Fighting Saints at the L.C. Walker Arena. Purchase tickets by calling 231-724-5225. C.I.O. Union Headquarters, 490 W. Western Ave.
It’s going to be one heck of a party at the Rebel Road Winter Burnout, a fundraiser for the Child Abuse Council of Muskegon! The party kicks off at 7:00pm, Friday, March 2 at Racquet’s Downtown Grill with drink specials and Cards Against Humanity! Then, on Saturday, March 3 get ready to rock at the CIO Hall! Doors open at 6:00pm and your $5 cover includes entry for a drawing to win an awesome Rebel Road 4’ x 8’ poster! •6:00pm – Burn Out Pit by Vic •8:00pm – DJ Eazy E, DJ Lowercase g, and DJ Freak’n Fonger will be spinning vinyl, taking you back through the 70’s,80’s and 90’s •10:00pm – Let There Be Rock/A Tribute to Early AC/DC is back!!! •All Night – 50/50 raffles. This event is for persons 21+. For more information, find “Rebel Road Winter Burnout” on Facebook or call (231) 327-5290. Through March 3, come to the Beardsley Theater for “A Raisin in the Sun,” presented by the Muskegon Civic Theatre! Set on Chicago’s South Side, the plot revolves around the divergent dreams and conflicts within three generations of the Younger family: son Walter Lee, his wife Ruth, his sister Beneatha, his son Travis, and matriarch Lena. When her deceased husband’s insurance money comes through, Mama Lena dreams of moving to a new home in a better neighborhood in Chicago. Walter Lee, a chauffeur, has other plans: buying a liquor store and being his own man. Beneatha dreams of medical school. The tensions and prejudice they face form this seminal American drama. The Younger family’s heroic struggle to retain dignity in a harsh and changing world is a searing and timeless document of hope and inspiration. For more information, call 231-727-8001. The West Michigan Lake Hawks strive to provide a professional level of sports entertainment and to enrich the lives of student athletes. Home games are played at Reeths-Puffer High School. Tickets are $8 in advance, $10 at the door, and season passes are $90 which saves you 25%. Ages 4 and under are free. Call 231-769-9617 for group ticket sales. Catch their next home game Saturday at 5:00pm as they take on the Windy City Groove and Sunday watch The Lake Hawks against Oakland County Cowboys. GO HAWKS! The Muskegon Farmers’ Market invites you to come inside their warm barn and shop this winter! They’re open every Saturday from 9:00am – 2:00pm, November – April. They will be closed Saturday, December 30. For more information, call (231) 722-3251. They are located at 242 Western Ave. Both boys and girls will love to try out the many of the newer robots in the Science Center. This program runs from 1:00-3:00 and is FREE to Muskegon County residents and just $3.00 for non- residents. Kitchen 242 inside the Muskegon Farmers’ Market invites you to the culinary class, “Kids Pizza Party with Chef Char!” Learn the fun of making your own pizza dough and a homemade marinara sauce for the start of a good pizza. Find out how to make an herbed crust, stuffed crust and even a cinnamon crust for a sweet treat fruit pizza. Choose and add your own toppings for pizzas that can be eaten in class or taken home for later. Ages 7+. The cost is $35. For more information, call (231) 769-2202. Come to the Mona Lake Boating Club for the annual Pasta for Paws event to benefit Pound Buddies Animal Shelter! Doors open at 4:00pm, with dinner from 5:00pm – 7:00pm. Enjoy spaghetti and meatball dinner, silent auction, 50/50/raffles, cash bar and live music and dancing with The Root Doctor beginning at 9:00pm. Tickets are $10 for adults and $5 for kids 10 and under. For more information call Linda at 231-329-2085 or Lana at 630-816-6409. Bring the kids to the Norsemen Family Festival! This fundraiser at North Muskegon Elementary School features carnival games, bounce houses, balloon animals, face painting, a silent auction and refreshments. There’s also a raffle with a top prize of $500! For more information, e-mail pto@nmps.net. Come to The Block as the Gaudete Brass Quintet encourages appreciation of the art of brass chamber music through live performance, recordings and new works. The quintet presents an evening of works featuring all-brass instrumentation. Call 231-726-3231 x223 for tickets and more information. Come to the Frauenthal Theater for the “Million Dollar Quartet!” This Tony® Award-winning Broadway musical, inspired by an electrifying true story, will rock the Frauenthal stage. On December 4, 1956, an auspicious twist of fate brought together four young musicians – Johnny Cash, Jerry Lee Lewis, Carl Perkins and Elvis Presley. Million Dollar Quartet is produced by Team Gershwin, in association with the Barter Theatre. General management is provided by Dhyana Colony/Colony Creative Group. Tickets are $50, $45, $40 and $35. For more information, please visit the Million Dollar Quartet website at www.MillionDollarQuartet.net. For tickets, call the box office at 231-727-8001. Come to the Frauenthal Theater for “The Music of Scott Joplin!” Hailed by The New York Times as “an especially impressive fine pianist,” Richard Dowling appears regularly across America in solo recitals, at chamber music festivals, ragtime & jazz music festivals, and as guest soloist in concerto engagements. Tickets are $30, $25 and $20 for adults. Youth tickets are $12. For more information, call 231-727-8001. Kitchen 242 inside the Muskegon Farmers’ Market invites you to the culinary class, “Sushi 101 with Chef Damon!” Learn simple and easy sushi recipes with Chef Damon. Everyone can learn and enjoy the basic art of sushi making. This will be a hands-on learning experience that will teach you how to spread, layer, tuck and roll sushi and then taste the fruits of your labor. It starts with perfect rice! This is a great couples class, but you can attend by yourself, too. You will be using raw fish and seafood in this class. The cost is $45. For more information, call (231) 769-2202. Every Sunday at 2:00pm through March 25, come to the Harbor Theater for the Spring Film Fest to benefit Muskegon’s historic military vessels! Tickets are only $6. For more information, call (231) 375-5228. USS Silversides Museum, 1346 Bluff St.
Monday evenings at 6:00pm, January 29 – April 2, come to the USS Silversides Submarine Museum for The Vietnam War by Ken Burns! Each episode will be followed by a discussion. Admission is free with the purchase of museum admission. Members are free. For more information, call 231-755-1230. This entry was posted in Calendar of Events on February 26, 2018 by editor. Over 4 million… that’s the number of dog bite incidents each year in the U.S. according to the Centers for Disease Control. The family dog or a neighbor’s dog inflict nearly 80% of dog bite-related injuries to children aged 18 and under, with children aged 5-9 having the highest injury rate. The dogs often end up in shelters, and many shelters will euthanize based on bite history. 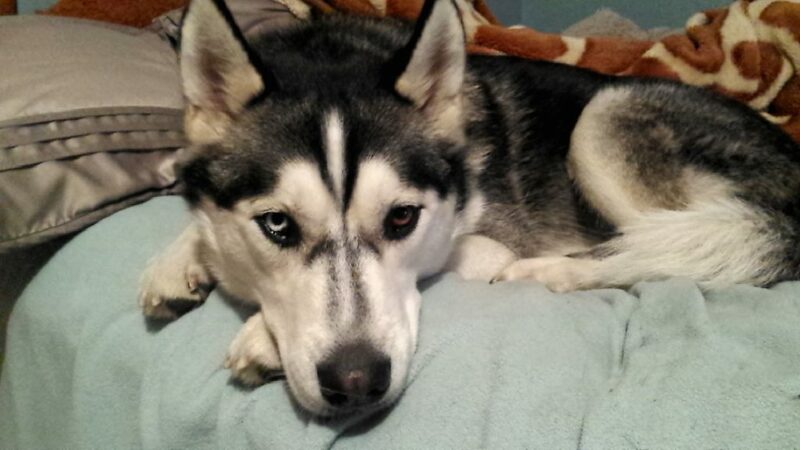 To reduce the number of bite-related injuries, Michigan Pet Fund Alliance has launched a Dog Bite Awareness and Prevention campaign on our website. The site features educational resources including a new video produced by MPFA explaining dog body language. The video features voiceover by Peter Carey, star of the smash hit play “Ernie” by Mitch Albom. Contact info@michiganpetfund.org if you are interested in distributing this video to schools, daycares, pediatricians, or other interested groups. This entry was posted in News Releases on February 26, 2018 by editor. Secretary of State Ruth Johnson reminds Michigan residents that when they go online for Secretary of State business they double-check the website they’re doing business with before they get taken for a ride by a motor-vehicle look-alike site. Residents should be sure to go to the official sites Michigan.gov/sos or ExpressSOS.com for the most accurate information. Johnson said her office regularly receives complaints from customers who believed they visited an official Secretary of State website to complete a transaction and paid a fee, only to later find that the money did not go to the state, and they did not get the services they thought they were buying. Unfortunately, these customers used an online search engine that listed sites not affiliated with the state of Michigan when they were looking for driver’s license and vehicle license plate renewal options or other Secretary of State services. These sites charge for information or services that are normally available at no cost on the official department website. The unofficial sites, which may end in “.org” or “.com”, often give the initial impression of being a motor-vehicle agency website, but, if you look closer, the sites may have a notification they are not affiliated with a government agency. Some sites sell “guides” to people about how to obtain a driver’s license that may be nothing more than electronic versions of free literature that motorists can get online or at any Secretary of State office. Official Secretary of State online services can be accessed by going to Michigan.gov/sos or ExpressSOS.com, which redirect users to the Michigan.gov site. State of Michigan web pages all have Michigan.gov in the address or state.mi.us for some services. This entry was posted in MI Secretary of State on February 26, 2018 by editor. This narrative was aided when investigations in several states turned up no legal charges. These were states where Planned Parenthood wasn’t involved in organ harvesting or pro-abortion officials were the investigators. Recent events have undermined this narrative, however, showing we’ve barely scratched the surface of this macabre trade in human corpses. On December 7, news broke that the Department of Justice is investigating Planned Parenthood Federation of America. Given the evidence Congress compiled over many months—and the plain statements from Planned Parenthood leaders caught on camera—we believe there is not just smoke there, but true fire. Two days after that, yet another story broke, this time in New Mexico. It was announced that the FBI is investigating the University of New Mexico and an infamous late-term abortion clinic in Albuquerque for their fetal organ harvesting. Now we have learned that one of the researchers at the center of this trafficking case was sending body parts to a man in Michigan. Then at the end of December, Reuters released an exclusive story regarding a 2013 raid on a “body broker” Detroit, Arthur Rathburn. Rathburn’s business was buying corpses, chopping them up with chainsaws, and selling them to medical conferences. During the raid four unborn babies were discovered by the FBI in his warehouse. There is no evidence yet showing where Rathburn obtained these babies, or if they were aborted or stillborn. Rathburn’s trial is now underway; he stands accused of 10 federal counts. Reuters has been pursuing Rathburn’s case as one of several in a seven-part series on the body broker industry. The parallels between the body broker industry (Rathburn’s case in particular) and the abortion industry are eerie, especially when it comes to a lack of regulatory oversight. Where will these stories lead? We’re not sure, but they deserve more public scrutiny than they’ve received so far. Much, much more. This entry was posted in Right To Life on February 25, 2018 by editor. A work session of the Fruitport Charter Township Board began at 6:30pm on Monday, February 12, 2018, in the township board room. At 7:05pm, Heidi Tice opened the regular meeting with the Pledge of Allegiance followed by a prayer. Also Present: 27– residents; 7– employees; 3- guests; Director of Public Safety, Brian Michelli; and Director of Public Utilities, Ron Langlois. The motion by Rose Dillon, supported by Greg Hulka, was carried unanimously, to approve the minutes of January 22, 2017 as presented. Item #8-F: Approval to renew copy machine lease for Police Department. 1. Ron Langlois reported that the DPW repaired a hole in a water main at Bridge St. and Brooks Rd. on Sunday. The cause of the hole is being investigated. 2. Ron Langlois reported that the DPW is installing water service stubs for the Chandy Acres East development. 3. Brian Michelli shared that the Fruitport Fire and Police Departments partnered with The Lakes Church for their Night to Shine event. Several members of the departments volunteered and the event was a success. 4. Brian Michelli let the board know that information from Muskegon County Central Dispatch regarding a 911 surcharge will be coming soon. 5. Brian Michelli shared that Firefighters Dave Clark and Tim Doctor have completed an application for a FEMA grant for Firefighter assistance. 6. Brian Michelli shared that Police Officer Andy Hunt was successful in writing a grant to provide funding to help with the purchase of an electronic traffic speed sign. Thank you, Officer Hunt! 7. Andrea Anderson shared that the street light at Parkland/Walker is installed and that the Weigle family shared their thanks. 8. Greg Hulka made mention that the County Drain Commissioner’s Kuis drain project was denied bonding from Muskegon County and in turn the terms will be shorter and interest rates will be higher than originally projected. 1. Linda Corinti inquired as to what is being built at Sternberg/Quarterline. 2. Muskegon County Treasurer, Tony Moulatsiotis, shared his support for trustee candidate Terry Knoll. Several topics of the handbook were discussed including the social media policy, lunch breaks, and hiring/firing. Once requested changes have been passed on for attorney approval, the employee handbook will come to the board for approval. Andrea Anderson gave an update. The resolution was TABLED while further information is gathered to ensure the most accurate schedule of fees. Each member of the board voiced their top three candidate choices for Trustee in no particular order. After narrowing the nominations by most nominations received, Todd Dunham, Terry Knoll, and Paul Lindale were the most mentioned names of the nine candidates. 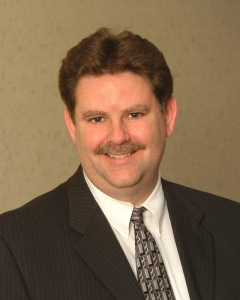 Rose Dillon moved, Jeff Jacobs seconded, to appoint Terry Knoll to the open Trustee position. Greg Hulka moved, Denise Winebarger seconded, MOTION CARRIED, to appoint Todd Dunham to the open Trustee position. Todd Dunham was sworn into his position as Trustee by the Clerk. He then took his seat among the board. Congratulations Todd. Lonnie Morren and Kyle Morrow were sworn into their positions as Firefighters by the Clerk and badges presented accordingly. Congratulations Lonnie and Kyle. Brian Michelli shared that Fruitport Fire Department’s current extrication equipment that is 35 years old and does not function effectively with late model vehicles that are built using stronger metals. He shared that the replacement of this equipment was included in the 2017-2018 budget. Carl from Hurst Tools shared facts regarding the current equipment we have and the equipment being demonstrated tonight. The new Hurst cutter and combination tools are battery operated, each come with 2 batteries, are made in the USA, and can be available to the department in approximately 8 weeks at a cost of $22,400. Replacement batteries are $600. Members of the board and meeting attendees stepped outside to watch Firefighters demonstrate the old and new equipment as they cut the doors off of a vehicle, which the use of was donated by Baxter’s Towing. Greg Hulka moved, Rose Dillon seconded, MOTION CARRIED, to authorize Brian Michelli to purchase the Hurst cutter and combination tools demonstrated tonight at a cost of $22,400. Brian Michelli staffing options with the board. With the recent vacancy in the Police Department, the department can work short staffed, continue to fill with part-time staff/full-time staff on overtime, or post the position to hire one full-time officer. Rose Dillon moved, Greg Hulka seconded, MOTION CARRIED, to authorize the Public Safety Director to fill the full- time Police Officer vacancy in the Fruitport Police Department. Fruitport DPW requested the water main be upsized and brought down Quarterline Rd to service the new hotel developments rather than service coming off of Sternberg. The cost to the Township would be in the form of reduced trunkage fees to the developer, therefore no out-of-pocket expense would occur. This would provide 25% of the water main needed to eventually extend from Sternberg south to Mt. Garfield Rd. Rose Dillon moved, Jeff Jacobs seconded, MOTION CARRIED, to authorize the DPW Director to move forward with the Quarterline water main project as presented. The proposed parks and Supervisor budgets were discussed. A $50,000 increase was noted in the proposed Parks budget as well as revenue from a cell tower located at Pine Park. Options for how the Parks Department can request additional funds for projects was discussed. Additional budgets will come to the Board for discussion at the next meeting. Brian Michelli recommended a renewal of a 5 year lease for the Police Department copy machine. Rose Dillon moved, Greg Hulka seconded, MOTION CARRIED, to authorize the Public Safety Director to enter into the requested lease. 1. Heidi Tice shared that there will be a representative from BS&A at the next meeting to inform the board on a software program that will be beneficial with rental registrations and planning commission functions. The cost of the software is approximately $20,000. 2. Rose Dillon introduced Nathan Petersen who is a Life Scout from Troop 1127 and a freshman at Fruitport High School. He entered the Boy Scout program in second grade and is currently working on citizenship in the community so he came to observe a public meeting. His goal is to become an Eagle Scout. 1. Linda Corinti shared her liking for the democratic process that happens on the board. She also inquired with Brian Michelli as to if a dummy is used during typical extrication training in order to provide a more real experience and ensure caution is used in the process; Brian shared the different ways the department ensures a realistic process. The motion by Andrea Anderson, supported by Heidi Tice was carried unanimously, to adjourn the meeting at 9:00pm. This entry was posted in Fruitport Township on February 24, 2018 by editor. This entry was posted in Uncategorized on February 24, 2018 by editor. Dr. Universe: Do all animals pass gas? Do cats fart? Hasandi, 11, Jeddah; Harrison, 10, Albany, Ore. If you’ve ever been near a cat or dog when they tooted, the smell might have sent you running right out of the room. A lot of animals pass gas. But believe it or not, some animals do not. First, let’s talk about the gassy ones. When us cats and humans eat food, we are also swallowing air, or gas. It’s made up of elements like nitrogen and oxygen. The gas travels down into our digestive system and can take up space in our stomach and intestines. In our digestive systems, we also find tiny living things called bacteria. You might blame the dog for your farts, but the real credit goes to your bacteria. Not all bacteria are bad. In fact, a lot of bacteria are helpful. Some of them help break down your food into its simplest form, like proteins and sugars that you can use for energy and growing. Some get rid of waste. But as they do their different jobs, they produce a bit of gas. That’s what I found out from my friend Kristen Johnson. She’s a researcher at Washington State University who has tackled some big questions about how cow gas impacts the environment. She explained that while each bacterium makes a small amount of gas, there are millions of them doing it. It really adds up. This gas needs to leave your body somehow, so you can release it either as a burp, a fart or by breathing. But if you were a clam or other mollusk, you wouldn’t toot. If you were a sea anemone, you wouldn’t fart, but you could probably burp. Last year, a bunch of researchers listed which animals they studied farted. According to their list, it appears that some worms don’t pass gas either. Then there are some animals that scientists aren’t sure about, like spiders and parakeets. One researcher even found that some millipedes have hard valves on their rear ends that silence their toots. It would be nice if some other animals I know had those. Birds have the equipment to fart but apparently don’t. Some scientists have found that a lot of them don’t usually carry the same kinds of gas-forming bacteria in their guts that humans and other mammals do. As it is, humans toot around 20 times a day, producing enough gas to fill up about half a two-liter bottle of soda. A lot of the time these farts don’t smell. But sometimes your bacteria release sulfur and other things that can get pretty stinky. It might not always be pleasant, but it’s totally normal. Silent or deadly, a fart is usually a sign that our bodies are healthy. This entry was posted in Dr. Universe on February 24, 2018 by editor. First in the State and #27 in the Nation! Your chamber’s largest event, the Lakeshore Art Festival, is ranked 1st in the state of Michigan #27 in the nation for Classic & Contemporary Craft Shows by the Sunshine Artist Magazine. This ranking is up from #83 position in 2015. Lakeshore Art Festival brings an estimated 50,000 people to Muskegon County each year and continues to grow. Sunshine Artist Magazine ranks the nation’s most-profitable fine art and craft festivals based on subscribers’ sales performance each year resulting in – Sunshine Artist Magazine 200 Best! Artist and exhibitor registration for the 2018 Lakeshore Art Festival is now open. Dates will be Friday, July 6 and Saturday, July 7. Visit the Lakeshore Art Festival website for more information. This entry was posted in News Releases on February 22, 2018 by editor. February 19, 2018 7:00 p.m. I. The Regular meeting of the Board of Education was called to order at 7:01 p.m. by Board President, Dave Hazekamp. II. The PLEDGE OF ALLEGIANCE was recited. III. ROLL CALL: Present – Jill Brott , Elroy Buckner, Tim Burgess, Kris Cole, Susan Franklin, Dave Hazekamp, and Steve Kelly. Christ McGuigan and Janelle Mair presented information on “Kickstart to Career.” This financial incentive program is being offered to all Muskegon County incoming kindergarteners. Muskegon’s Community Foundation will deposit $50 into a savings account to be used toward future education. It is their hope that this amount will grow over time and help cultivate a culture of career education. Board Secretary, Steve Kelly read aloud a thank you note from the family of Gene Young. Item 18-023. MOTION by Cole, SECOND by Buckner to approve the Consent Agenda as presented. Bob welcomed John Winskas back and thanked Fred Wilks and Darrick Brown for their efforts during the interim. 1. Approval of the High School Bond Project Bids. Item 18-024. MOTION by Franklin, SECOND by Brott to authorize Owen-Ames-Kimball Co. to issue Letters of Intent, in the amount indicated, to contractors and suppliers listed per attached, noting the amendment for bid category 2 as presented, pending confirmation that all requirements of the Contract Documents have been met. Furthermore, that upon receipt by Owen-Ames-Kimball Co. of the appropriate documentation, contracts be awarded to these contractors and suppliers by Fruitport Community Schools. 2. Approval of the 2018-19 School of Choice Resolution. Item 18-025. MOTION by Franklin, SECOND by Cole to adopt the 2018-19 School of Choice Resolution as presented. Roll Call: Brott, Yes; Buckner, Yes; Burgess, Yes; Cole, Yes; Franklin, Yes; Kelly, Yes; Hazekamp, Yes. 1. Report of committee meeting held February 12, 2018. Elroy Buckner reported on a Business and Finance Committee meeting held February 12, 2018. Dave Hazekamp, Elroy Buckner, Kris Cole, Mark Mesbergen, and Bob Szymoniak were present. The committee discussed: the Bond Budget, the Building and Site Budget, and Vehicles. 1. Report of committee meeting held February 13, 2018. Steve Kelly reported on a Personnel Committee meeting held February 13, 2018. Dave Hazekamp, Steve Kelly, Tim Burgess, and Bob Szymoniak were present. The committee discussed: hiring an Operations Director, a Personnel Matter, the Superintendent Evaluation, and a Bond Update was given. 2. Approval of the 2016-17 Superintendent’s Evaluation. Item 18-026. MOTION by Kelly, SECOND by Buckner to approve the 2016-17 Superintendent Evaluation of Bob Szymoniak with a rating of highly effective as presented. 1. Report of committee meeting held February 14, 2018. Jill Brott reported on a Student Affairs Committee meeting held February 14, 2018. Jill Brott, Dave Hazekamp, Allison Camp, Susan Franklin, Lauren Chesney, Rob Rogers and Bob Szymoniak were present. The committee discussed: New Art Classes at the high School level. Two reinstatement hearings were scheduled but families were a no-show. 2. Approval of New High School Art Course Offerings. Item 18-027. MOTION by Brott, SECOND by Franklin to approve the additions of Introduction of Art and Ceramics II to the high school curriculum as presented. 3. Approval of the Overnight Trip Requests. Item 18-028. MOTION by Brott, SECOND by Franklin to approve DECA’s State Conference, March 9-11, 2018 in Detroit, MI ~ Techno Trojans District Competition March 9-11, 2018 in Mishawaka, IN, ~ Techno Trojans District Competition April 5-7, 2018 in Alpena, MI as presented. Jill Brott spoke about the magnificent PBIS assembly at Shettler. Kris Cole mentioned GREASE, the musical, on March 23rd and 24th, a welding opportunity for students in Mr. Stahl’s classroom, a LOWE’s grant awarded to Mr. Stahl, and the beginning of a Robotics league at Shettler. He also commented on the Chalkboard Project at the high school and believes it is making a positive difference. Bob Szymoniak thanked Busche Aluminum Technologies for their financial donation to the Fruitport food service angel fund. Steve Kelly commended the Fruitport Competitive Cheer coaches and team who received their highest score at Districts recently. He indicated they were just shy of making it to the Regional competition. 1. Business and Finance Committee will meet March 12, 2018 at 11:30 a.m.
2. Personnel Committee will meet March 14, 2018 at 7:00 a.m.
3. Student Affairs Committee will meet March 14, 2018 at 4:00 p.m.
4. Reschedule March Board Meeting. Item 18-029. MOTION by Cole, SECOND by Brott to reschedule the March Board Meeting to March 26, 2018 at 7:00 p.m. due to a scheduling conflict. Roll Call: Brott, Yes; Buckner, Yes; Burgess, Yes; Cole, Yes; Franklin, Yes; Kelly, Yes; Hazekamp, Yes. 5. A Board Workshop has been scheduled on April 25, 2018 at 5:30 p.m. in the Board Room. Item 18-030. MOTION by Buckner, SECOND by Cole to adjourn. The meeting adjourned at 7:46 p.m. This entry was posted in Fruitport Schools on February 20, 2018 by editor. February 16, 2018 11:30 a.m. I. The Special Meeting of the Board of Education was called to order at 11:34 a.m. by Board President, Dave Hazekamp. II. ROLL CALL: Present – Jill Brott, Elroy Buckner, Tim Burgess, Kris Cole, Susan Franklin, Dave Hazekamp, and Steve Kelly. 1. Approval of Regular Meeting Minutes. Item 18-020. MOTION by Brott, SECOND by Cole to approve the Regular Meeting Minutes of January 22, 2018. • Matt Hulswitt reviewed the bid categories and contractors. The meeting adjourned at 1:02 p.m.
1. Two new courses are being recommended for the high school after having had two readings and the support of Instructional Council. They are Introduction to Art and Ceramics II. The Student Affairs Committee recommended these courses for Board approval. 2. Two reinstatement hearings were to be held but the families in question did not submit the required reinstatement paperwork and did not show. As a result, no action was taken. 1. A discussion was held regarding the recommended hire of John Winskas to be our new Operations Director. The recommendation for hire will be placed on the consent agenda of the February Board of Education meeting. 2. A personnel matter was discussed with no need for action at this point. 3. Concluding the superintendent evaluation process was discussed and will be placed on the Board agenda for approval. 4. A bond update was given regarding the bidding process. Mark and Bob discussed the bids and how it has impacted the bond budget. The Building and Site budget was discussed as the bids for the high school are known. Mark presented an update on our maintenance and ground fleet. Meeting adjourned at 12:40 p.m.
WEST OLIVE, MI – Alternative energy. This phrase often brings to mind images of large wind farms or expansive solar arrays. Not for long. 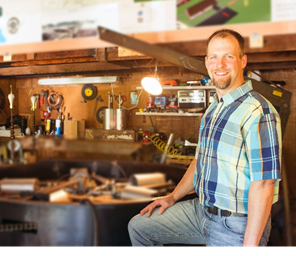 Holland-based startup company Synergy Power LLC has created a device about the size of a kitchen table that has the design intent to power an entire family’s home with little more than hot and cold water. The SynergineTM is a patent protected, zero emissions energy production system that has the potential to disrupt current methods of power generation, including existing alternative energy devices. Synergy Power LLC and ACRE AgTech worked closely with staff at Lakeshore Advantage to prepare the application for the BAF grant. The BAF is administered by Lakeshore Advantage through their Surge program and is supported by a partnership between the Small Business Development Center and the Michigan Economic Development Corporation to support small startup businesses. ACRE AgTech has worked side by side with Ureel since January of 2016 to achieve numerous significant milestones which include securing Synergy Power’s first private investor, building the scaled SynergineTM prototype, and securing grant funding for legal costs through Varnum Law’s MiSpringboard program. ACRE AgTech has been providing agtech connections and resources to entrepreneurs in Ottawa County and across Michigan since December, 2014. For more information about ACRE AgTech, please visit our website, www.acreagtech.com, or contact us at 616-994-4745 or info@acreagtech.com. This entry was posted in News Releases on February 20, 2018 by editor. Through March 3, come to the Beardsley Theater for “A Raisin in the Sun,” presented by the Muskegon Civic Theatre! Set on Chicago’s South Side, the plot revolves around the divergent dreams and conflicts within three generations of the Younger family: son Walter Lee, his wife Ruth, his sister Beneatha, his son Travis, and matriarch Lena. When her deceased husband’s insurance money comes through, Mama Lena dreams of moving to a new home in a better neighborhood in Chicago. Walter Lee, a chauffeur, has other plans: buying a liquor store and being his own man. Beneatha dreams of medical school. The tensions and prejudice they face form this seminal American drama. The Younger family’s heroic struggle to retain dignity in a harsh and changing world is a searing and timeless document of hope and inspiration. For more information, call 231-727-8001. Monday evenings at 6:00pm through April 2, come to the USS Silversides Submarine Museum for The Vietnam War by Ken Burns! Each episode will be followed by a discussion. Admission is free with the purchase of museum admission. Members are free. For more information, call 231-755-1230. This is a fascinating and eloquent play by Jeff Stetson that depicts the supposed meeting of two of the most important men of modern times: Malcolm X and Dr. Martin Luther King, Jr. Differing in their philosophies, but alike in their mutual respect, the two men debate their varying approaches to the same grave social problems, both prepared to die for their beliefs but neither aware of how soon their assassins’ bullets await them. No registration or tickets required. This production is designed to tie in with “X: A Novel,” the 2017-2018 Great Michigan Read title. The Great Michigan Read is intended for young adults to senior citizens, with broad goals of making literature more accessible and appealing while also encouraging residents to learn more about our state and individual identities. Copies of “X: A Novel” are available at the Library to check out now while supplies last. This program, funded by the Friends of the Norton Shores Library and the Almeda Boulton Memorial Fund of the Community Foundation of Muskegon County, is free and open to the public with no registration required. For additional information, contact Alison Purgiel, lead librarian, at 231-780-8844 or apurgiel@madl.org . The 11th annual Soup for Suits luncheon is happening Tuesday, February 20 from 11:30am to 1:00pm at the Fricano Event Center in Muskegon! Come and have a bowl of soup and bread on Muskegon Rescue Mission, and help them reach the goal of providing 10,000 meals to the community through the proceeds of this event. Dessert and coffee will be available for purchase from Grand Traverse Pie Company and Starbucks. For more information, call 231-727-6090. Tuesday, February 20 from 6:30pm – 9:00pm, Kitchen 242 inside the Muskegon Farmers’ Market invites you to the culinary class, “Cooking with Craft Beer with Chef Jamie!” Beer, especially our local craft beer, can be used in so many ways. In this class, you will focus on a simple BBQ sauce for ribs, a salad dressing for a side and dessert. The cost is $40. For more information, call (231) 769-2202. Muskegon’s highly popular charity event, Dancing with the Local Stars, is back for its 10th star-studded year and accepting applications from local food pantries and food programs. The event, produced by the Women’s Division Chamber of Commerce, benefits food pantries and food programs in Muskegon, upper Ottawa and lower Oceana counties. The first nine events enabled WDCC to donate more than $755,000 to those food-giving organizations thanks to generous community members and business leaders. Traditionally, Dancing with the Local Stars pairs local dignitaries, business leaders and people of interest with local dance professionals in four performances. However, this year’s event will feature more than 60 returning cast members in nine dance teams with 11 professional dancers in six performances happening February 16-17 and February 22-24, at the Holiday Inn & Conference Center Downtown Muskegon. www.womensdivision.org. Every Thursday from 4:00pm – 8:00pm, you’re invited to the Muskegon Museum of Art for a free tour guided by MMA docents, compliments of Meijer! For more information, call 231-720-2570. Thursday, February 22 from 6:00pm – 8:00pm, Kitchen 242 inside the Muskegon Farmers’ Market invites you to the culinary class, “Cherry Pastries with Chef Char!” No matter if you believe the story of the President who chopped down the cherry tree, there are awesome things to be made with tart cherries harvested locally. This class will cover the basics of tasty, tart and sweet cherry sauce folded into strudel, turnovers or tarts for baking in class or taking home for later. The cost is $35. For more information, call (231) 769-2202. The Norton Shores Library hosts “Jazz with Edye & Mike Hyde” on Thursday, February 22 at 7:00pm in the Library’s Community Room! Edye and Mike Hyde will perform music from the great American songbook in the style of our only true American art form: jazz! The Hydes will demonstrate and discuss the relationship between musical improvisation and political freedom. Grand Rapids residents, Edye and Mike both currently teach classes at Hope College in Jazz and Contemporary Music. Edye also directs the Hope College Gospel Choir and is the founder and executive director of a Grand Rapids theatre company, Ebony Road Players. This performance is part of the MADL Thursday Night Music Club concert series, where you can join your fellow music lovers at the Norton Shores Library for free live music events. For additional information, contact Alison Purgiel, lead librarian, at 231-780-8844 or apurgiel@madl.org . Friday, February 23 from 5:30pm – 7:30pm, join the Lakeshore Museum Center for their February Family Fun Night as they welcome cultural organizations from around Muskegon County! Groups such as the Muskegon Polish Festival, Muskegon Public Schools’ Spanish Two-Way Immersion program and the NAACP will share information and activities or crafts that relate to their organizations. They will also host a Native American presenter who will share both historical and modern customs. Admission is always free for Muskegon County residents and just $3 for non-residents! Are you part of an organization that would be interested in participating? Contact Program Manager, Jackie Huss, at jackie@lakeshoremuseum.org or 231-724-5526. Every Friday – Sunday at 6:00pm (weather permitting), you can learn to luge at the Muskegon Winter Sports Complex, offering one of only four publicly accessible luge tracks in the United States! Although shorter in overall length than the Olympic tracks in New York and Salt Lake City, the Muskegon Luge track provides an Olympic thrill with the safety of the participant in mind. The track was designed by three-time Olympian Frank Masley and consists of six curves and two starting areas. For more information, call 1-877-TRY-LUGE. Catch two home games, Friday, February 23 and Saturday, February 24 at 7:15pm as the Jacks take on the Sioux City Musketeers at the L.C. Walker Arena. Purchase tickets by calling 231-724-5225. Friday, February 23 at 7:30pm, come to the beautiful Frauenthal Theater for Jay Owenhouse the Authentic Illusionist! Jay is a legendary escape artists and one of the most awarded illusionists in history! His one night only new show is called “Dare To Believe!”, an illusion spectacular. The show has been voted by audiences and critics alike as “One of the Top Live Shows in America”. Jay has amazed millions on T.V. in “Masters of Illusions” and ‘Magic on the Edge.’ The Salt Lake Tribune calls him “Simply Amazing!” and The Tokyo Times calls the elaborate production “Truly Magic, a Must See!” Jay welcomes you into his mysterious world of wonder and the impossible. You will experience a night of grand illusions with the most amazing magic in the world, Bengal tigers up close, dangerous escapes, and inspiring storytelling. Proceeds will benefit preventing tigers and cheetahs from extinction through RareSpeciesFund.org. As a Thank You for your support, VIP Gold Ticket holders receive: Premium Seating, Souvenir Lanyard, Souvenir Program, VIP Badge for Backstage Meet and Greet with Jay and one of the Tigers! Tickets are $29, $39, VIP $69. For more information, call 231-727-8001. The Muskegon Farmers’ Market invites you to come inside their warm barn and shop this winter! They’re open every Saturday from 9:00am – 2:00pm, November – April. They will be closed Saturday, December 30. For more information, call (231) 722-3251. Saturday, February 24 from 10:00am – 12:00pm, Kitchen 242 inside the Muskegon Farmers’ Market invites you to the culinary class, “Kids Cooking – Mighty Mac & Cheese with Chef Char!” Forget the powdered cheese mixes from a box and learn how to make a variety of delicious, creamy roux-based cheese sauces to pour over an assortment of noodles. You will add extra garnish for three healthy ways to serve the noodles and cheese as a complete meal. There’ll be plenty for tasting in class and to take home. Kids ages 7+. The cost is $35. For more information, call (231) 769-2202. Saturday, February 24 at 2:00pm, come to Hackley Public Library for live music from the “In the Tradition” jazz ensemble! “This band’s métier is straight-ahead Jazz, unplugged and resplendent in all its acoustic simplicity and textural earthiness, and underpinned by rhythms inspired by all parts of the far-flung reaches of the African Diaspora”…Matt Ward, Detroit Jazz Magazine, 10-16-13. Brought to the community through a generous bequest from Bess Commodore. WUVS 103.7 “The Community Station” the Beat is the media sponsor. Saturday, February 24 from 6:00pm – 9:00pm, it’s “Art at the Redi,” presented by the Lakeshore Visual Arts Collective! This will be the LVAC’s first pop-up art show, featuring live music, a cash bar and great eats provided by Righteous Cuisine in the urban warehouse space behind Muskegon’s Redi Rental facility. Enjoy the work of 20 area artists, many of whom are from the Muskegon area. There will be a $10 suggested donation at the door. All door donations and 10% of all art sales will benefit the Boys and Girls Club of Muskegon. Join them for a wonderful evening of art and community and support local artists and art programs for Muskegon area kids at the same time! For more information, visit the Lakeshore Visual Arts Collective website at www.lakeshorevac.com. The Muskegon Community College 2018 Winter Concert, which highlights the wide variety of musical and vocal performance groups at the college, will take place at the Frauenthal Center in downtown Muskegon on Saturday, February 24 at 7:00pm. The MCC Wind Ensemble, conducted by MCC Music Director Daniel M. Meyers, will perform music by John Philip Sousa, Richard Wagner and Ralph Vaughn Williams. The MCC Jazz Ensemble, directed by Tim Froncek, will play music by Miles Davis, Don Rayder and Paul Baker. The College Singers, directed by James Hylen, will perform musical selections by John Rutter and Z. Randall Stroope. The Honors Orchestra, directed by Philip DeYoung, will perform the music of Johannes Brahms and Antonin Dvorak. Tickets for the event are $7 for adults and $2 for students and may be purchased at the Frauenthal Center Box Office or online at www.startickets.com. For more information, contact the MCC Arts and Humanities Department at (231) 777-0324. The West Michigan Lake Hawks strive to provide a professional level of sports entertainment and to enrich the lives of student athletes. Home games are played at Reeths-Puffer High School. Tickets are $8 in advance, $10 at the door, and season passes are $90 which saves you 25%. Ages 4 and under are free. Call 231-769-9617 for group ticket sales. Catch their next home game Sunday, February 25 at 5:00pm as they take on the Team Network! There’ll be plenty for tasting and to take home. The cost is $35. For more information, call (231) 769-2202. This entry was posted in Calendar of Events on February 19, 2018 by editor. Lansing, Mich. — On Thursday, December 7, Michigan abortionist Michael Roth received a $798 fine and 18 months of probation for three felony convictions in Macomb County Circuit Court. The convictions stem from his suspected practice of illegal at-home abortions. Roth pled no contest on October 16 to three counts of larceny in a building. Roth had a person steal drugs and medical equipment from his former employer Angel Ojeda, an abortionist who runs the Eastland Women’s Center in Eastpointe, Michigan. In September 2015 Roth was involved in an accident when his car struck a 31-year-old man with special needs. Police found several stolen items along with tissue from aborted babies in the trunk of his car. Given Roth’s previous history of performing abortions in women’s homes in 1998 and 1999, it’s likely he was committing illegal at-home abortions. Roth was facing other criminal charges, including identity theft and possession with intent to deliver the schedule 2 narcotic Fentanyl, but those charges were dismissed in June. The Michigan Board of Medicine suspended Roth’s license on September 13 for a year and fined him $25,000 for unlawful possession of a controlled substance. Lynn Mills is a citizen journalist who attended Roth’s sentencing hearings. Mills has followed the case from the beginning, and said she was frustrated that no media outlets have sent reporters to the hearings to cover this story since Roth’s initial arrest. Right to Life of Michigan released a report in 2012, Abortion Abuses and State Regulatory Agency Failure, including details on several of Roth’s violations. In addition to his at-home abortions, Roth was disciplined in 2002 for drug-related violations, including prescribing drugs without a license. He was disciplined in 2004 for violating patient consent laws and was accused of falsifying medical records by a former employee and performing illegal late-term abortions. In 2012 Roth received six months of probation and was ordered to pay a $15,000 fine for Public Health Code violations involving botched abortions. Roth’s most recent abortion business, the bizarrely-named Novi Laser and Aesthetic Center, was closed in 2014. This entry was posted in Right To Life on February 18, 2018 by editor. You’re right. If we took a trip into the mountains, we would find that it felt a lot colder. It all has to do with our atmosphere. We may not always think about it, but we are basically living in a giant ocean of air. Our atmosphere contains small building blocks, or gas molecules, that make up the air we breathe, she said. We can’t always see or feel how much gas there is, but we can measure it. We can calculate the mass of gas, or the number of molecules there are in a certain area. Air is actually pushing down on us all the time, even if we can’t really feel it. The air pressure is greater when you are closer to the level of the ocean’s surface. Here, the building blocks or molecules are pretty squished together. When the gas’ pressure is greater, temperature increases. Maybe you’ve heard people say the air is thinner up in the mountains, where there is less pressure and the molecules or building blocks are more spread out. When the pressure of a gas decreases, so does temperature. Pressure is a big part of the answer to the first part of your question. The other part of your question involves the sun. Our sun is about 490 billion feet away from the surface of the Earth. While a mountain might seem tall, it’s pretty puny in comparison to the distance between Earth and our sun. It actually doesn’t make a huge difference in temperature. Pressley said that pressure and our sun also have a lot to do with weather. When sunlight travels through the atmosphere, it heats the surface of the planet. When the surface gets warmer, it sends heat back up to air molecules near the surface and warms them up. The molecules of air rise. As they do, they expand and cool. Somewhere else, air over a mountain that is even colder actually starts to sink. This sinking air gets compressed, squished together, and heats up. This mixing of air is called convection and is at the heart of our weather. This system also keeps the surface of our home planet warm enough to live—from the colder mountains to the warmer beaches around our world. This entry was posted in Dr. Universe on February 17, 2018 by editor. 06. Site Plan Review – Teddy Spaghettis – 3032 Hts. Ravenna Rd. 07. Site Plan Review & Special Use – 2963 Hts. Ravenna Rd. The township will provide necessary reasonable aids and services for this meeting to individuals with disabilities by writing or telephoning the Township Clerk: Andrea Anderson, Fruitport Charter Township, 5865 Airline Rd, Fruitport, MI 49415 (231) 865-3151. This entry was posted in Fruitport Township on February 16, 2018 by editor. Friday, February 16, 2018 – 11:30 a.m.
*Time is provided for members of the audience to address the Board of Education regarding any topic including items on the agenda. The board is providing one opportunity for the public to comment during the meeting. Members of the audience may wish to bring issues to the Board of Education for board consideration. Time limits may be placed if a large number of individuals would like to address the board. This entry was posted in Fruitport Schools on February 16, 2018 by editor. Monday, February 19, 2018 – 7:00 p.m.
*Time is provided for members of the audience to address the Board of Education regarding any topic including items on the agenda. The board is providing two opportunities for the public to comment during the meeting. The first is for people who wish to bring issues to the Board of Education for board consideration. At the end of the meeting the board will provide a brief opportunity for community members to comment on activities and/or discussion that took place during the board meeting. Time limits may be placed if a large number of individuals would like to address the board. MUSKEGON, MI – After building up the highly successful and popular Taste of Muskegon event over the past 11 years, Downtown Muskegon Now and the city of Muskegon have agreed to transfer the local downtown festival to the city. Muskegon City Manager Frank Peterson and DMN Chairman Andy Maciejewski have signed a “letter of understanding” in passing the Taste of Muskegon event to the city with the goal of sustaining and growing the event celebrating Muskegon food, community and local businesses. Taste of Muskegon — the third weekend of June in 2017 — drew record crowds both Friday night as a Party in the Park and all day Saturday. The event was a huge boost for the nearly two dozen food vendors who had significant sales and were able to promote their products and restaurants. After looking for a non-profit to take over the Taste of Muskegon, DMN entered discussions with city officials, who want to keep the event as a kickoff to the downtown Muskegon festival season. Taste of Muskegon proceeds will support programs and events at the city’s Muskegon Farmers Market, Western Market, Hackley Park, Pere Marquette Park and the Smith-Ryerson Playfield among other city facilities, city officials said. “We hope that longtime Taste of Muskegon sponsors, organizers and volunteers will help us keep building and improving the event that draws a wide variety of people from across the community,” Peterson said of an event slated for the weekend of June 15-16, 2018. The city of Muskegon has incorporated many of the Taste of Muskegon vendors into its popular Food Truck Rallies this summer at the Muskegon Farmers Market. Next year’s Taste of Muskegon is expected to launch an expanded schedule of Food Truck Rallies at the market for 2018. Key to the recent success of Taste of Muskegon has been incorporating it into that Friday night’s Party in the Park. Parties in the Park President Ami Gongalski said that the Friday night Taste of Muskegon was its largest and most successful party in 2017. This entry was posted in News Releases on February 16, 2018 by editor. Ottawa County is where people want to be. Low property taxes, a flourishing economy, and a region rich in natural beauty are just a few qualities attracting residents to the area. Ottawa County Administrator Al Vanderberg shared this and other Ottawa County highlights from 2017 during January 23rd’s State of the County Address. Other themes in the report include Ottawa County government’s strong financial position; the collaborations and partnerships that enhance services and save tax dollars; exciting park and paved trail developments, and innovative improvement processes. Vanderberg also listed some of the challenges and projects on the horizon for 2018 including opioid abuse, the increasing need for mental health services and corresponding funding, affordable housing, pension liability, cyber-security, and planning for a new Juvenile Justice Center. The full speech can be read here. This entry was posted in Ottawa County on February 14, 2018 by editor. If you are looking for work, look no further than Muskegon County! Finding and recruiting workers is the number one concern of area businesses according to Muskegon Lakeshore Chamber of Commerce members. Each year, the chamber surveys local businesses to find out how to make Muskegon County the best place to live, work, and play. At the end of 2017, 68% percent of the businesses surveyed stated that the workforce shortage was the number one concern. “It is great to have a strong economy, yet now we must work to develop local talent and recruit new talent to the community,” says Cindy Larsen, President of the Muskegon Lakeshore Chamber of Commerce. “This means supporting effective workforce training programs like skilled training funds,” says Larsen. Last year, over $700,000 in state training funds was distributed to local businesses according to records from Muskegon Area First, Muskegon County’s economic development agency. Also important to the business community is infrastructure improvement for roads, waterfront development and the port development. At the same time, more public transportation opportunities including walkable/bikeable pathways rated high on the chamber survey list. Over 150 businesses responded to the annual survey which is used to determine the chamber advocacy agenda for the following year. The Muskegon Lakeshore Chamber of Commerce will now promote these issues to local and state elected officials for their consideration when determining community needs. Activities that support business and education partnerships will be a high priority in 2018 as well. The Muskegon Lakeshore Chamber of Commerce is celebrating 125 years as the area’s premier business organization. Click here for further survey results. This entry was posted in Muskegon Lakeshore Chamber of Commerce on February 14, 2018 by editor. Monday evenings at 6:00pm, January 29 – April 2, come to the USS Silversides Submarine Museum, located at 1346 Bluff St. for The Vietnam War by Ken Burns! Each episode will be followed by a discussion. Admission is free with the purchase of museum admission. Members are free. For more information, call 231-755-1230. Don’t miss the “Postcard Salon” exhibition happening February 1 – 15 at the Muskegon Museum of Art! Over 1,400 cards from artists from West Michigan and beyond were on display last year, offering a huge range of materials and subject matter to enjoy. Now in its 12th year, the Postcard Salon reflects the Muskegon Museum of Art’s commitment to Michigan artists, a chance for people of all ages and skill levels to share their work with the public. The exhibition is free to enter and all submitted cards are installed, making the show a true community endeavor. The exhibition is also a great opportunity to support the area arts community by purchasing an original work of art. Join them this year for the first ever juror awards, singling out four remarkable cards. Beginning at 7:00pm on Thursday, February 15, all of the postcards on display in the Wiener Gallery will be for sale at $30 apiece. Don’t miss this opportunity to own an original artwork by your favorite regional artists. Buyers will be able to take the works directly from the walls and pay for them at several locations throughout the museum. Muskegon Museum of Art members will be given a five-minute head start beginning promptly at 6:55pm. The sale ends at 8:00pm, so don’t miss out! Memberships can be obtained in the Museum Gift Store, or in the gallery on the 15th. For more information, call 231-720-2570. Come to Hackley Public Library for the film “Hidden Figures” (127 mins. PG) as they celebrate Black History Month! This film portrays the true story of how NASA found untapped talent in a group of African-American female mathematicians that served as the brains behind one of the greatest operations in U.S. history.“Movies @ the Library” happens first Tuesday of the month. Bring your own snacks and non-alcoholic beverages. Brought to the community through a generous bequest from Bess Commodore. WUVS 103.7 “The Community Station” the Beat is the media sponsor. Spend Wednesday February 14 (Valentine’s Day) at Lumberjacks home game. The puck drops at 7:15pm as the Jacks take on the Bloomington Thunder at the L.C. Walker Arena. Purchase tickets by calling 231-724-5225. GO JACKS! Come to Kitchen 242 inside the Muskegon Farmers’ Market for “Dining in the Dark,” an event that will heighten four of your five senses. Enjoy a fun, out-of-your comfort-zone experience while dining in a whole new way. Enjoy a delicious meal by Chef Jack Page, designed to stimulate the palate and challenge your sense of smell and taste. Of course, all of this will happen while eating completely in the dark! Wearing older clothing is encouraged. There is limited seating and this event will sell out! A cash bar will be available with Happy Hour from 6:00pm – 7:00pm. Dinner begins at 7:00pm. Dietary restrictions can be accommodated with advance notice. Please indicate any restrictions by emailing ann.meisch@shorelinecity.com. Tickets are $50 and available through www.eventbrite.com. For more information, call (231) 722-3251. Every Thursday from 4:00pm – 8:00pm, you’re invited to the Muskegon Museum of Art for a free tour guided by MMA docents, compliments of Meijer! Call 231-720-2570. Every Friday – Sunday at 6:00pm (weather permitting), you can learn to luge at the Muskegon Winter Sports Complex, offering one of only four publicly accessible luge tracks in the United States! Although shorter in overall length than the Olympic tracks in New York and Salt Lake City, the Muskegon Luge track provides an Olympic thrill with the safety of the participant in mind. The track was designed by three-time Olympian Frank Masley and consists of six curves and two starting areas. For more information, call 1-877-TRY-LUGE or visit the website below to make reservations. Safety is the number one priority when teaching new sliders or conducting races with seasoned sliders. All participants must be at least 8 years old at the time of their session. Participants are outfitted with elbow pads, a helmet and a well-maintained luge sled. An instructor carefully goes over each part of the sled with a beginning slider and teaches easy to learn methods of steering the sled. Over three decades, the program has instructed thousands of sliders from age 8 to 80 to safely and successfully luge. While luge is referred to the fastest sport on ice, this track is designed for the novice slider at slower speeds than an Olympic track, where sliders can reach speeds of 90+ mph. The top speeds at the Muskegon Winter Sports Complex track are approximately 30 mph on a “good ice” day although to most new sliders it still feels like 90 mph! The sleds weigh between 25-40 lbs. and are transported up a flight of stairs to the top of the luge track by human power…you! Small children will most likely need adult help to get their sled back up the hill. If you have heart troubles or health issues that may be complicated by climbing stairs or participating in adrenaline pumping outdoor thrill sports, this activity may not be recommended. The size of each session is limited, so participants can expect to get 3-6 runs depending on weather conditions and efficiency of the group and personal pace. The first 20 minutes of the session you will receive instruction from an experienced luge coach about safety and equipment. During free sliding time, coaches will be positioned along the track to give you instruction throughout the session. The last 15 minutes of each session is set aside for participant certificates and a medals ceremony. Come to the Beardsley Theater for “A Raisin in the Sun,” presented by the Muskegon Civic Theatre! Set on Chicago’s South Side, the plot revolves around the divergent dreams and conflicts within three generations of the Younger family: son Walter Lee, his wife Ruth, his sister Beneatha, his son Travis, and matriarch Lena. When her deceased husband’s insurance money comes through, Mama Lena dreams of moving to a new home in a better neighborhood in Chicago. Walter Lee, a chauffeur, has other plans: buying a liquor store and being his own man. Beneatha dreams of medical school. The tensions and prejudice they face form this seminal American drama. The Younger family’s heroic struggle to retain dignity in a harsh and changing world is a searing and timeless document of hope and inspiration. For more information, call 231-727-8001. Muskegon’s highly popular charity event, Dancing with the Local Stars, is back for its 10th star-studded year and accepting applications from local food pantries and food programs.The event, produced by the Women’s Division Chamber of Commerce, benefits food pantries and food programs in Muskegon, upper Ottawa and lower Oceana counties. The first nine events enabled WDCC to donate more than $755,000 to those food-giving organizations thanks to generous community members and business leaders. Traditionally, Dancing with the Local Stars pairs local dignitaries, business leaders and people of interest with local dance professionals in four performances. However, this year’s event will feature more than 60 returning cast members in nine dance teams with 11 professional dancers in six performances happening February 16-17 and February 22-24, at the Holiday Inn & Conference Center Downtown Muskegon. To apply for funds from the event, food pantries and food programs should download the WDCC Donation Request Form found under the “Quick Links” on the home page at www.womensdivision.org. Completed applications must be submitted by January 15, 2018 to Women’s Division Chamber of Commerce, Ways & Means Committee, P.O. Box 1665, Muskegon, MI 49443. WDCC will inform donation recipients in April after the event. Come to SE4SONS and “Wine Away the Winter Blues,” featuring the Rick Hicks Band. Tickets are $20 per person and include four hours of live music, five 2 oz. pours and light appetizers. Se4sons is located in the Muskegon Country Club, 2801 Lakeshore Dr. This is open to the public. Join them for dinner before, during or after at SE4SONS Gastropub. Be sure to make your reservations early by calling 231-759-3405. Michigan’s Free Fishing Weekends: An annual tradition. Two days twice a year, families and friends can enjoy one of Michigan’s premiere outdoor activities, Michigan Fishing, for FREE! All fishing license fees will be waived for two days. Residents and out-of-state visitors may enjoy fishing on both inland and Great Lakes’ waters for all species of fish. All fishing regulations will still apply. For many, the annual Free Fishing Weekend has become a tradition – a time to get together and have some fishing fun. While some may find time to reflect while fishing, there are no limits to variations on a great theme! You’re invited to Kitchen 242 for the culinary class, “Pierogis and Dumplings with Chef Char!” In this class, you’ll work with two similar types of dough to make a classic American comfort food and a traditional Polish treat. Pierogis will be constructed and stuffed with an assortment of fillings before cooked or prepared for your freezer. Fluffy dumplings will also be prepared to make a hearty kettle of chicken and dumplings to try in class or take home. Sign up for classes at Eventbrite.com or call 231-769-2202 for more information. The cost is $40. Bring your sweetie to the Back Alley Comedy Club, 1531 W. Sherman Blvd. (in Sherman Bowling Center) for the Valentine’s Day Murder Mystery Special! Your evening begins with a delicious dinner catered by Ryke’s, then it’s Clue style goodness that happens right in front of your table. The moment you walk through the door you will be immersed in a thrilling murder mystery experience, mingling with crazy characters and shady suspects in a game of murder you get to play! As the night continues you will get to interrogate the suspects, gather the clues, and work with your team to help their mystery experts crack the case before the killer gets away! Tickets are $40 when at Sherman Bowling Center or $42 when purchased online. Pre-Show drinks and mingling begin at 7:00pm with dinner at 7:30pm. The show will begin at 8:00pm. For more information, call (231) 755-1258 or visit the website below. Come to the Frauenthal Center, 425 W. Western Ave. for “Winners and Winds,” presented by the West Michigan Concert Winds! The Winds will honor senior solo scholarship recipients, as well as share the stage with two area high school band members and their conductor. Tickets are $12 for adults and students. Children under 18 are free with a ticketed adult. For more information, call 231-727-8001. The Norton Shores Library, 705 Seminole Rd., hosts The Ebony Road Players as they perform excerpts from the play “The Meeting.” This is a fascinating and eloquent play by Jeff Stetson that depicts the supposed meeting of two of the most important men of modern times: Malcolm X and Dr. Martin Luther. Differing in their philosophies, but alike in their mutual respect, the two men debate their varying approaches to the same grave social problems, both prepared to die for their beliefs but neither aware of how soon their assassins’ bullets await them. No registration or tickets required. This entry was posted in Calendar of Events on February 12, 2018 by editor. 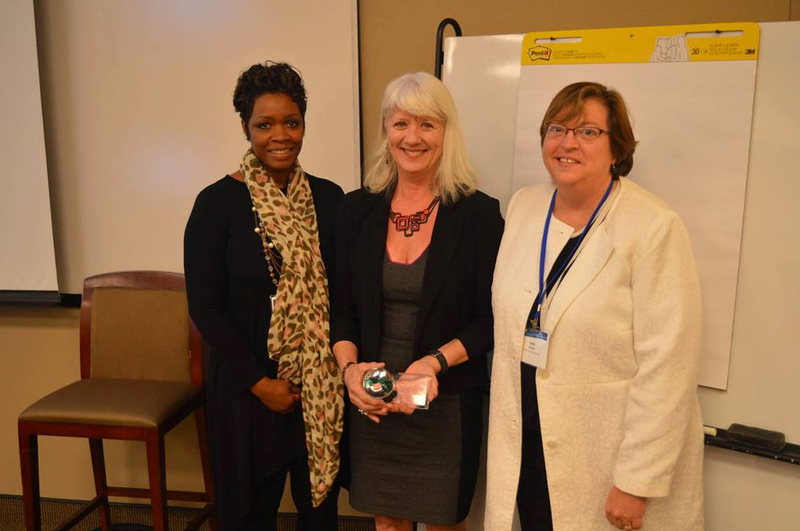 Every year, the School-Community Health Alliance of Michigan recognizes advocates who make outstanding contributions to school-based health centers. This year, we received over a dozen nominations from some of the most dedicated supporters of school-based health. They ranged from volunteers and funders, to practitioners and CEOs. Mark and Christine Fazakerley are loyal advocates for the health and wellness of the community they call home. A few years ago, they noted a critical need for health care in Oakridge Public Schools where their children had graduated and their grandchildren now attend. They worked with the schools, helped to assess the needs, and provided private funding for a community health worker. This initial philanthropic investment spurred a movement to develop a school-based health center which opened in December 2015. The Fazakerley family was a key supporter as well as a catalyst for generating community funding for the construction of the clinic. The compassion, vision, advocacy, and philanthropy of the Fazakerley family was key to the launch of this health center that now serves hundreds of students with medical, dental, and behavioral health care. Linda Juarez is a champion for school-based health care. She leads a team of 180 employees at Hackley Community Care which operates two school-based health centers, serves four satellite schools, and supports additional behavioral health centers. When Oakridge Public Schools Superintendent Tom Livezey was looking to bring health services to his students, Linda and her team joined the effort, brought expertise to the project, and helped to rally community support. Before long the two were celebrating the opening of the Oakridge Teen Health Center at Oakridge Middle and High School campus. The area had been a healthcare desert, with not one medical or dental practice in the school district and no public transportation to travel to care. These factors left students without access to care. The clinic now provides medical, dental, and behavioral health services to students in a safe and welcoming environment. Linda’s strong leadership and care for the students has really made a difference in this community. This entry was posted in News Releases on February 12, 2018 by editor. This last Christmas Eve my wife and I went to church in the early evening. A gentle snow fell, it was indeed a silent night, a holy night and all was calm. Of course, the decorations inside abound with poinsettias, and lighted Christmas trees bordering the altar. This pristine setting was pretty much the same as I remember in years past. We sat and listened to the sermon about the events of the past. Everyone was quiet except for a few fidgety babies not yet impressed with the liturgy and the point of interest. We sang songs about the Christ Child and the miracle of birth. We listened to how and why he was placed here on earth. After all, it is common knowledge that we are sinners by nature and it would take nothing less than an act of God to save us from ourselves. A second thought had occurred to me, we know that Christ was born to teach us a better way to live our lives. We know he died to pardon and forgive us our sins. But is it absolutely necessary for us to sin quite so often and in so many ways? Everything that night in church appeared the same, except me, this time I became acutely aware of my surroundings. It was no secret that I was not a member of this church like my wife is but I attended service with her on all the special occasions throughout the year. No one took notice of my presence there because I always knew that Christians opened their hearts to all that believe in God and Christ. This year I noticed so many things about the others as they prayed, sang, and knelt in the pews before the altar. As the parishioners walked up to the altar to receive holy communion, heads bowed in reverence, then returning to their pews, I noticed their faces. It became clear to me that these individuals were in a state of grace. For a brief hour or so, these Christians no feelings of persecution, injustice, or malice towards anyone else. I had wondered, perhaps we should attend church six days a week for an hour free of sin, anger, and fear and on the seventh day give ourselves a rest from the turbulent world we live in. Wouldn’t be nice, instead of hearing an irritating alarm clock buzzing every morning, we listen to Louis Armstrong’s old song, What A Wonderful World. Maybe that will put us in a state of grace before getting to that daily workplace. This entry was posted in Christian Perspective on February 11, 2018 by editor. Caleb Przybylek’s first buck, a 6pt, shot on November 3 with a crossbow at 25 yards out. He has a heck of a story if you want to hear it. He is a 7 th grade student at Fruitport Middle School . Let me start by telling you that I was not too enthused about hunting this year. That’s until Caleb came home from school about a week before the youth hunt, and told me he wanted to hunt and shoot a deer this year. I am an avid hunter and I have definitely been blessed but just felt like my hunting was missing something. Well I got our crossbow out and we went and sighted it in and let’s just say Caleb only needed to take one practice shot, bullseye first shot at 20 yards. So the youth weekend was here and it was gonna be miserably hot. I warned him that it was probably gonna be too hot to see deer, and we saw none. I was worried, for I just got him to hunt and not seeing deer can be a turn off and he told me he didn’t care to see deer he just wanted to spend time with me. It’s now the third week of bow and I can’t get him to come back out with me, but he got me excited about being out and I shot a 5pt. We hunt state land so just seeing bucks at times is tough. 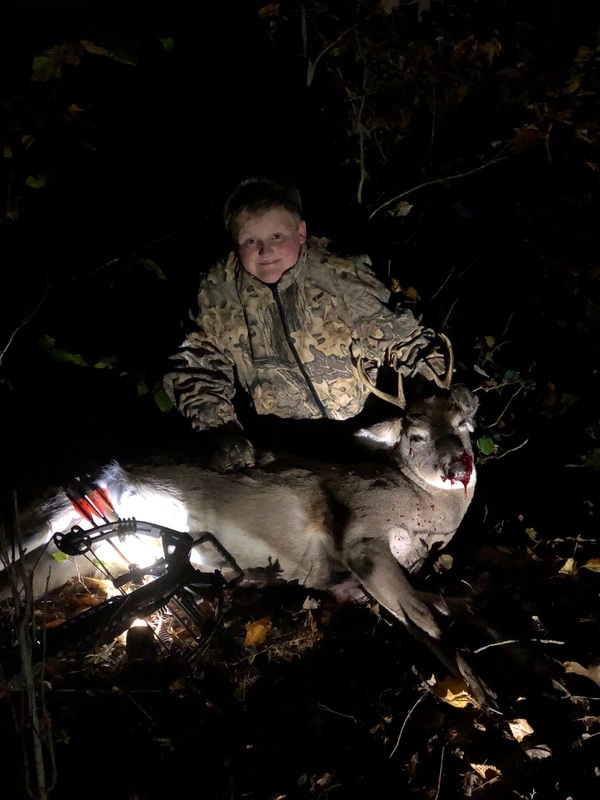 I went up on the 27th of October again by myself and I had a real nice 6pt coming in but I could not shoot it but knew my son could and that this might boost his confidence. I came and talked him in to going by telling him I guarantee you’ll shoot a deer, possibly a buck. I convinced him to go with me on Friday nov. 3rd and not 20 minutes in the stand, 4:15 to be exact the 6pt was coming in. I had Caleb pick up the bow, turn the safety off, and get ready. I could see he was getting nervous. He was shaking and breathing hard so I whispered to him over and over to take deep breaths and calm down. I also told him to aim at his shoulder and to not take it off. Caleb had to hold the red dot on him for 10 minutes until he cleared a few trees. He was doing so great being patient letting that buck take his time and he did not speed the shot, I teach him to never take bad shots. Finally the buck turned his head only to look behind him and in doing so he stepped forward a foot giving my son a shot. I was gonna tell him to shoot but before I could he did. Direct hit right through the heart, it only ran 20 yards and dropped. The deer did not suffer, for it was a perfect shot. I look to Caleb and say good shot and grab the crossbow so he doesn’t drop it in excitement. Then I noticed Caleb was in full tears.. I asked if he was crying because he’s sad he killed a deer and he said no. I said why then do you cry, he says to me these are tears of glory dad, I never thought I would ever shoot a buck. He didn’t know but I shed a tear myself, because I knew exactly what I was missing in my hunting, my new hunting partner Caleb. On the way home the fun competition and heckling started toward me, Caleb was teasing by saying I shot a bigger deer than you dad. I smiled and said yes! Yes you did. I so look forward to future hunting with him and my other 3 kids in the future. Thanks for letting me tell you this, Caleb is an amazing 12 year old trying to find who he is like most boys and girls his age and he lacks confidence in himself. After this hunt, I’ve seen a change in him and see him starting to gain confidence. This entry was posted in News on February 10, 2018 by editor. This entry was posted in Fruitport Township on February 10, 2018 by editor. Having direct physical contact with a person who is infected, such as caring for or shaking hands with a sick person and then touching your hands to your mouth. Eating food or drinking liquids that are contaminated with norovirus. Touching surfaces or objects with norovirus on them and then putting your hands in your mouth. People with norovirus illness are most contagious from the moment they begin feeling ill and for the first few days after they recover. Some people may be contagious for even longer. “We are receiving an increase in stomach virus reporting. Primary outbreaks are within school and childcare settings. To reduce the risk of illness in our community, people need to take preventive measures to stay healthy,” said Marcia Mansaray, epidemiologist. • Handle and prepare food safely. People with norovirus illness should not prepare food for others while they have symptoms and for at least two days after they recover from their illness. • Clean and disinfect contaminated surfaces (such as toilets, counters and doorknobs). Always clean up the entire area immediately after someone with norovirus vomits or has diarrhea. Put on disposable gloves and disinfect contaminated surfaces using a bleach-based household cleaner as directed on the product label or with a solution of five tablespoons of bleach to a gallon of water. • Wash laundry thoroughly. Immediately remove and wash clothing or linens that may be contaminated with vomit or stool. Handle soiled items carefully – try not to shake them – to avoid spreading the virus. If available, wear disposable gloves while handling soiled clothing or linens and wash your hands after handling. • Stay home if sick for at least 24 hours after symptoms end to avoid spreading the illness to others. 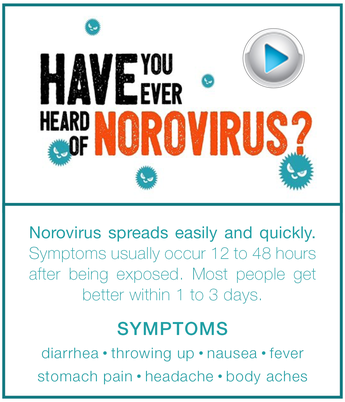 For more information, visit www.cdc.gov/norovirus. This entry was posted in Health on February 10, 2018 by editor. This entry was posted in Fruitport Schools on February 10, 2018 by editor. Dear Dr. Universe: What can you tell me about parasites? -Brianna, 12, Eastern Wash.
A parasite is an organism that steals resources from another organism in order to survive. Our planet is home to all kinds of parasites and organisms that host them. My friends Kevin Zobrist and Lisa Shipley, scientists at Washington State University, told me about a few holiday-inspired parasites. After all, ‘tis the season. The first parasite is a type of plant that people often smooch under around the holidays: mistletoe. There are a lot of species of mistletoe, explains Zobrist, a forester at WSU. An example in the Pacific Northwest is hemlock dwarf mistletoe, which explosively releases sticky seeds during the summer. The seeds can fly up to 50 feet and stick to tree branches they fall on. When the seeds land on trees like western hemlock (the state tree of Washington), the mistletoe starts to grow. Some kinds of mistletoe have leaves they can use to take in sunlight and help make food. But they still aren’t able to get enough food on their own. They have to feed off trees. Dwarf mistletoes don’t have any leaves. They get everything they need from their host. In the process, this little mistletoe parasite causes trees to form weird clumps called “witch’s brooms” that can ultimately end up killing them. While the trees might die and become snags of dead wood, this can actually be a good thing for the forest ecosystems. Zobrist explained that some animals, including some endangered species, will use witch’s broom branches or the insides of dead trees to make their habitat or nest. Even though the parasite takes life from the tree, it’s not all bad for life in the forest. While some parasites live off plants, other parasites need animals. Lisa Shipley, a WSU professor who works with animals in the deer family, said some reindeers are host to a parasite that is so small we’d need a microscope to see it. It’s a kind of nematode more commonly called a brain worm. Before the nematode finds the reindeer host, it lives in a different animal. When it’s young, it will go into the slimy bottom part of a snail, called its foot. As snails slide along leaves of plants, reindeer that are munching on leaves will sometimes eat a snail, too. When they eat the snail, they eat the young nematode. The young nematodes move through the body and are eventually pooped out. But along the way, they can lay eggs and cause damage to the reindeer’s brain. “The worm can be treated with parasite medications, so if you have your own reindeer—like some people in the North Pole do—you can give them medicine,” Shipley said. Mistletoe and nematodes are just two of many parasites. Other parasites like ticks or fleas rely on hosts like us cats to get their food. Parasites can be inconvenient and even deadly, but to them, it’s all about survival. This entry was posted in Dr. Universe on February 10, 2018 by editor. This entry was posted in News, Uncategorized on February 8, 2018 by editor. (MUSKEGON, MI) – Today, United Way of the Lakeshore announced two free options for people to file their income taxes. The online system is MyFreeTaxes, a product of H&R Block. It allows most filers to complete their taxes online in under one hour. For those seeking in-person help, Goodwill Industries in the Lakeshore Region administers VITA, the Volunteer Income Tax Assistance program that uses MyFreeTaxes to file taxes for taxpayers needing assistance. Income eligible people are invited to schedule an appointment by calling 2-1-1. The United Way has partnered over the past decade with H&R Block and Goodwill Industries of West Michigan to provide free tax filing services for federal and state taxes, the partnerships have helped people file their returns, bringing more refunds back to help their families in our local communities. These resources are a direct benefit to ALICE – Asset Limited, Income Constrained, Employed. These people work across the Lakeshore Region yet struggle to meet their families’ basic needs. Taxpayers earning less than $66,000 can either call 2-1-1 for a personal appointment, or enter their data through MyFreeTaxes.com. This links to a secure H&R Block website, making it easy to complete their federal and state taxes from home, at work or on mobile devices. It offers unlimited, personalized real-time chat and phone support in English and Spanish from IRS-certified specialists at 1-855-MY-TX-HELP. The helpline operates from January 22 through April 30, 2018 from 10:00 a.m. to 10:00 p.m. EST Monday through Friday, and from noon to 9:00 p.m. EST on Saturdays. United Way of the Lakeshore is uniting to inspire change and build thriving communities. Our Bold Goal – 10,000 more working families meet their basic needs by 2025. For more information, contact United Way of the Lakeshore at 231-722-3134 or visit www.unitedwaylakeshore.org. This entry was posted in News Releases on February 8, 2018 by editor. Dr. Robert Kamminga was the dentist on the Ottawa County Department of Public Health’s Miles of Smiles mobile dental unit this past Friday, Feb. 2 for Give Kids a Smile Day. He provided comprehensive dental care for Medicaid insured and financially qualifying uninsured children at Great Lakes Elementary. Every child received a gift bag complete with a toothbrush, toothpaste, prize and oral health education. “Our Miles of Smiles program is the best example of a community collaborative effort that I could ever envision,” said Debra Bassett, RDH, BHS Ottawa County Department of Public Health Oral Health Supervisor. Pain from untreated dental disease makes it difficult for children to eat, sleep and concentrate in school. Poor oral health also affects their self-esteem. Ottawa County Department of Public Health Miles of Smiles mobile dental unit provides dental services for Medicaid insured and financially qualifying uninsured children in Ottawa County. Partners include dental society involvement, dentist and hygienist volunteers, school administration dedication, community support, funder’s generosity, Ottawa County Administration support and Ottawa County Department of Public Health’s commitment to help improve the health of children. Please call 1-800-467-5905 to schedule an appointment for your child if they are in need of a dentist, have Medicaid or are uninsured and qualify for the free/reduced lunch program. This entry was posted in Ottawa County on February 8, 2018 by editor. Harbor Hospice has been offering Camp Courage for 24 years as a way to help children and their families following the death of a loved one. The emotions of grief can be overwhelming and isolating for children who have not yet developed the verbal and emotional skills to navigate the grief process. Children grieve differently than adults and need time to just “be kids” as well as time to honor and remember their loved one. Kids often feel alone in their grief and thrive when able to connect with others who understand their unique experience. Harbor Hospice staff and trained volunteers create a safe, stable environment for children to explore and express their grief, remember their loved one, and connect with others who have experienced a death. Children participate in traditional camp activities such as swimming, hiking and campfires, along with grief-tailored activities that teach healthy coping skills. Camp Courage, an overnight camping experience for children ages 6-12 and teens 15-19 as Junior Counselors, is held at Pioneer Trails on Big Blue Lake in Muskegon County beginning Friday, June 22, 2018 at 10:00 am through Sunday, June 24, 2018 at 2:00 pm. Application deadline is May 31, 2018. The only cost for camp is a one-time $10 registration fee. For more information or to register, contact Laura Ecker or Melanie Dekkers at 231.728.3442 or 1.800.497.9559 or email info@HarborHospiceMI.org or visit our website at HarborHospiceMI.org. With a career spanning more than 30 years, Anderson currently co-stars in the hit FX comedy series Baskets, winning the 2016 Emmy Award for Outstanding Supporting Actor in a Comedy Series. He is a best-selling author, star of his own stand-up specials and sitcoms and he continues to tour the country performing to standing-room-only crowds worldwide. Tickets are $29 – $49 and can be purchased at the Frauenthal Box Office via phone at 231.727.8001 or in person, open Monday – Friday from 11:00am to 5:30pm or by calling Star Tickets at 1.800.585.3737. Tickets can also be purchased at startickets.com. This entry was posted in Calendar of Events on February 8, 2018 by editor. Muskegon, MI — RICHARD DOWLING: THE MUSIC OF SCOTT JOPLIN‘s piano concert features the beloved Scott Joplin ragtime piano works used in the 1973 Academy Award winning movie, “The Sting,” (including The Entertainer) plus many other dazzling, delightful, and rarely-heard Joplin compositions. The program features an Audience Choice selection — a Joplin work randomly selected by an audience member from the remaining complete Joplin piano repertoire (53 rags, waltzes, marches and cakewalks). Richard Dowling is the first pianist in the world to perform all of Scott Joplin’s piano works in public. On April 1, 2017 — exactly 100 years to the day that Joplin died in New York City — Mr. Dowling performed the complete Joplin cycle in two historic sold-out recitals at Carnegie Hall in New York. Rivermont Records recently released Mr. Dowling’s 3-CD definitive set of The Complete Piano Works of Scott Joplin, recorded on a magnificent Hamburg Steinway concert grand piano. Tickets are $20 – $30 Adult / $12 Youth (18 and under) and can be purchased at the Frauenthal Box Office via phone at 231.727.8001 or in person, open Monday – Friday from 11:00am to 5:30pm or by calling Star Tickets at 1.800.585.3737. Tickets can also be purchased at startickets.com.